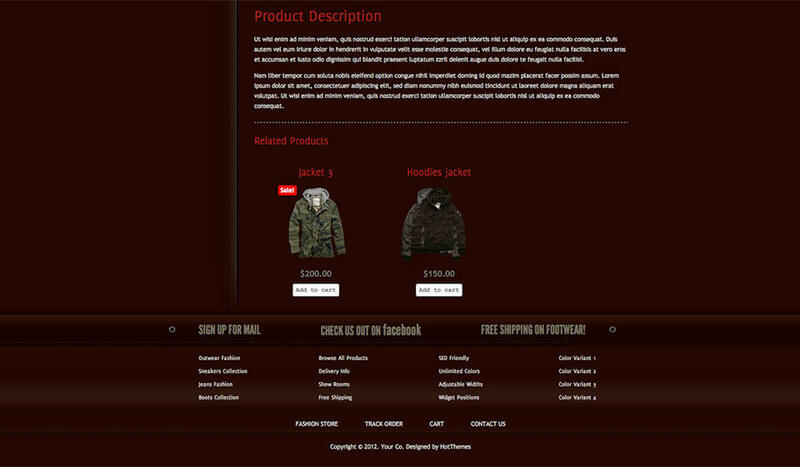 We “tailored” this ecommerce theme with modern and strong backgrounds images. Fashion WordPress theme has 3 types of textures: denim, leather and blue textile. This theme has a simple and reduced home page which main purpose is to welcome your visitors and potential buyers. It will lead him/her to the main departments of your WordPress store. 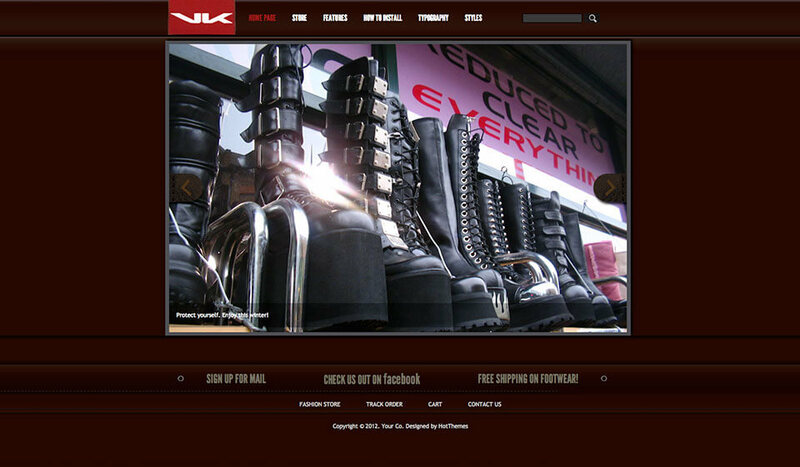 On our demo site, we filled the store with the outwear, jeans, boots and sneakers. This will make your job easier, because your only task is to change our sample items with your real products. Fashion products are often sold online. If you are in this business, you should definitely try to sell your footwear and clothing online. WordPress is easy to learn and easy to maintain, and if you understand WordPress, it would be easy for you to understand the popular e-commerce plugin, WooCommerce. Adding and removing the products and sorting the products into the categories couldn’t be easier and faster. 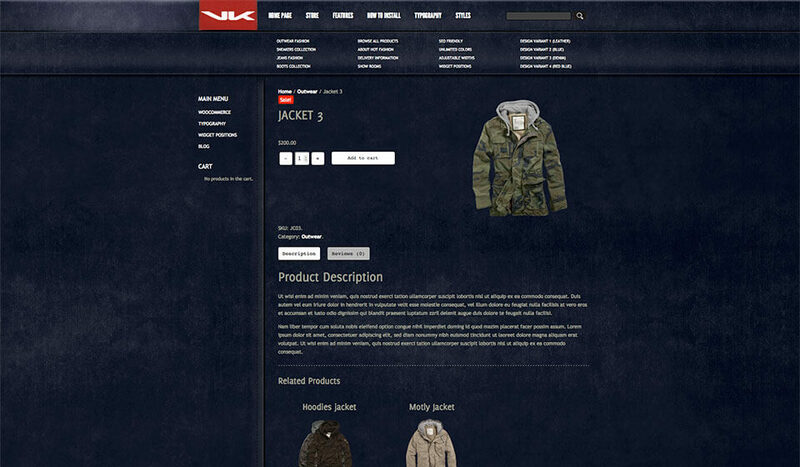 Each product can have one or more images that can be added from the media library or uploaded from your computer. 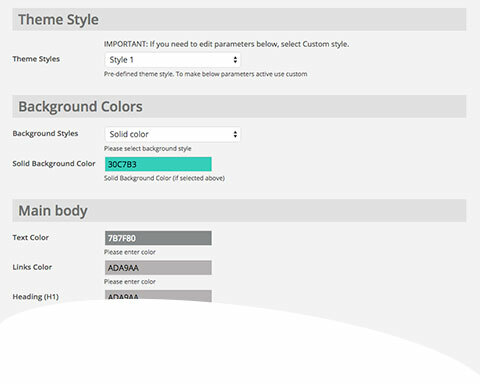 HotStart installation of the Fashion WordPress theme is included in the package. It’s recommended to use it because it installs everything (including WordPress) onto your server! So you can start changing sample content immediately. As soon as you finish, you can start selling your products online. 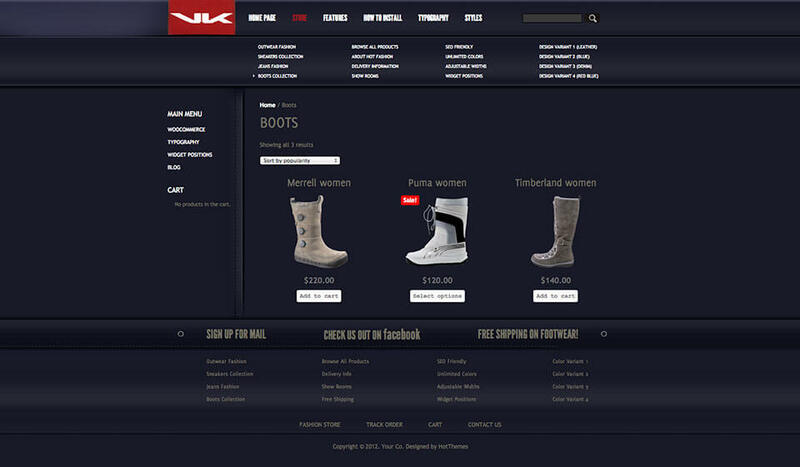 The theme code is based on CSS with flexible width of the left and the right columns. 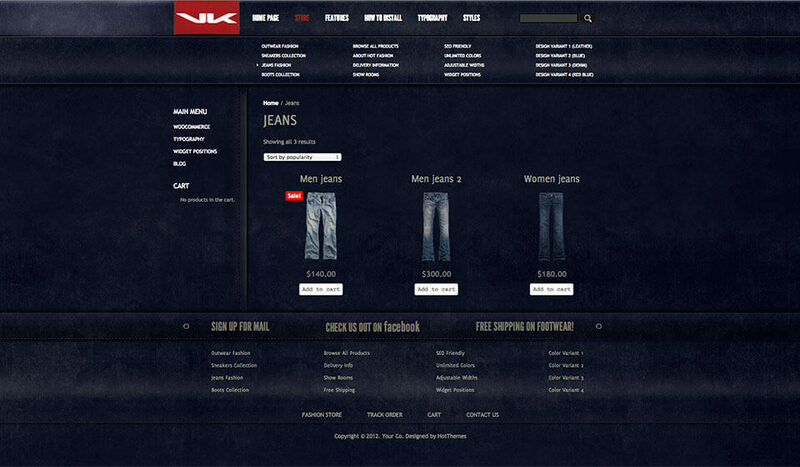 The overall site width is also parametrized. There are 3 color styles available. The home page of the Fashion WordPress theme is powered by Hot Effects Rotator plugin which is included in the theme package.